Hey Fit Bottomed Mamas, I’m Kelsey. If you bounce around FBG and FBE, you may have seen some of my articles. I usually write for those sites when I get a moment in my busy schedule — though I’m sure not as busy as a Fit Bottomed Mama. Well, I’m here to bring you along on my journey to become an FBM, hopefully. My journey began about three years ago when I decided to test myself for what is called Fragile X Syndrome. I’m sure you are wondering why I tested myself for this. Well, Fragile X Syndrome is a genetic developmental disability that is linked on the X chromosome and is on the autism spectrum. It is more prominent in boys because they only having the one X chromosome. Because girls have two X chromosomes, one X can be masked (that’s my case). My brother has the syndrome and my mom told me years ago that I should probably test myself for it so I could be aware once I thought about having children. Boy, am I glad I tested several years ago. After my husband and I looked into what our options were, we discussed many of them, but ultimately it was to go through the IVF and PGD process. Most of you probably know what IVF is and why many people decide to take that route to have a child. However, my journey is a bit different due to being a genetic carrier. 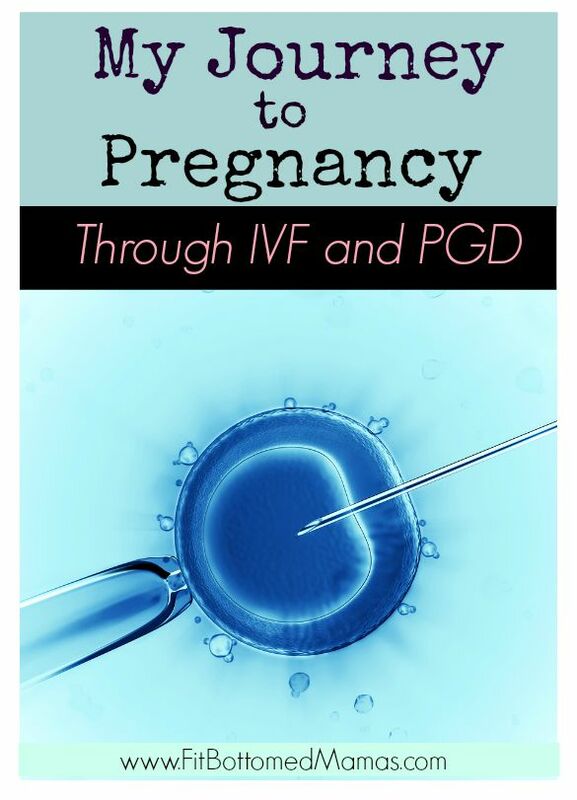 PGD stands for pre-implantation genetic diagnosis. This can be used for many, many things for people who choose to use it, but it is often used for people who are trying to prevent something, be it a disability or a birth defect from carrying on any further in the gene pool. After much consideration on my part and my husband’s, we decided that we would rather go through this process and spend the gobs of money it will take to do this and hope and pray that we come out with a “normal” child. I wanted my family to know that I was not trying to denounce my brother in any way, as he is truly one of the best people I know and THE best brother in the world (he’s also my only brother!). But I truly don’t know what it’s like to have a “normal” sibling and would like to raise as many “normal” children as I can. That might sound selfish to some people, but for me it’s a mere hope and a dream. Oh yeah, back to the money part. I’m definitely glad we found out about the results early on in our marriage because we’ve had to save and save and save for several years to be able to afford this. Of course, in the middle of saving our money, we bought a house and had to get a new car, so that put a damper on things quite a bit. Fortunately, we feel we can afford it now and have chosen to start our process. Ideally it should take about four months, if all goes as planned. It’s an interesting process. You start with getting your blood drawn for labs and paying a lot of money up front, and then you move to taking a bunch of meds and putting yourself (me) through all the shots for IVF — ouch. I’m not looking forward to that part at all. Then they have to go through the process of testing the embryos that have started to grow and see if they test for Fragile X and if they do, those are thrown out of the mix and the “good” ones that don’t show signs of the syndrome are kept and continued through the process. Ultimately we select from as many as we have available and proceed with implantation. And then hopefully at the end of all this, I’m pregnant — cross my fingers. Now I will take you through as much as I can understand and process through this journey. It will be an emotionally charged roller coaster, I’m sure. And this is just to get pregnant, not even counting the actual pregnancy. Thanks for coming along on my journey with me and hopefully in the end we have a success! Your story is incredibly similar to mine. My cousin has Fragile X and I knew I was most likely a carrier. We started our infertility journey in March 2015. I knew something was wrong with myself and as had only been trying for about 6 months. Turns out I was right… PCOS and anovualation. I consulted with my fertility specialist and then was referred to Texas Children’s Hospital for further consultation on the genetic testing. We made the decision to do IVF with PGD and will start in March 2016 to allow time to save the needed $24,000 for the entire IVF and PGD process. I’d love to hear more about your journey since our situations are so similar! !